WriteGirl is a Los Angeles-based creative writing and mentoring organization that spotlights the power of a girl and her pen. 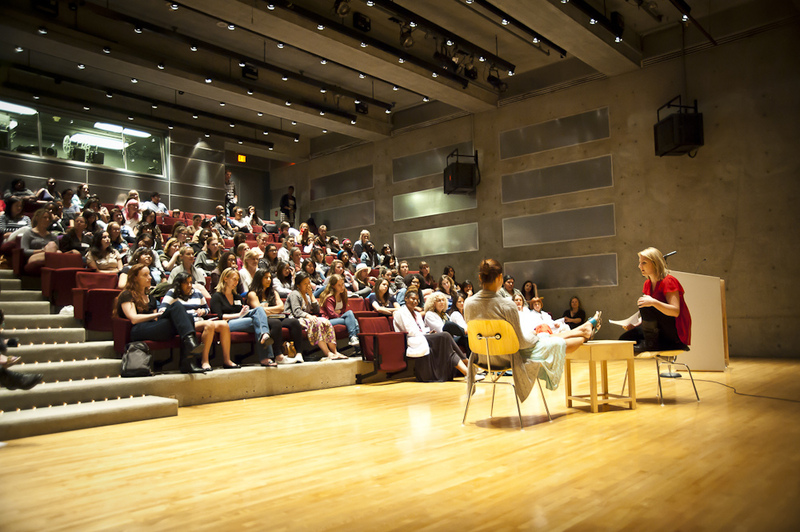 At WriteGirl, we match girls with women writers who mentor them in creative writing. WriteGirl is a thriving community with 200 volunteer women writers serving more than 500 girls annually. Every year, we produce dozens of workshops, panel discussions and special events to help girls get creative, get through high school and get to college! In fact, since 2001, 100% of our graduating seniors have entered college, many on full or partial scholarships. Through one-on-one mentoring and monthly creative writing workshops, girls are given techniques, insights and hot topics for great writing in all genres from professional women writers. Workshops and mentoring sessions explore poetry, fiction, creative non-fiction, songwriting, journalism, screenwriting, playwriting, persuasive writing, journal writing, editing and more. Many of our teens attend schools with over 3,000 students. The counselor to student ratio in Los Angeles of 810:1 is one of the worst in the country. We know they aren't getting the individual help they need. Many of our girls face tremendous challenges including abuse, neglect, depression and much more. A caring role model can change their lives and indeed has changed many lives! Last year, one of our teens who had been incarcerated just six months ago, was accepted to two colleges, thanks to help from her WriteGirl mentor and WriteGirl resources! Keren Taylor and WriteGirl’s unique programming have received numerous awards and commendations for exemplary community service. WriteGirl was launched in December 2001 to bring the skills and energy of professional women writers to teenage girls who do not otherwise have access to creative writing or mentoring programs. After a mere six months, WriteGirl published Threads, our premier anthology of members’ work. A standing-room only public reading at the Knitting Factory in Hollywood helped to kick off the book’s release. Our second season brought double the membership and the publication of a second anthology, Bold Ink. This book was ushered in with a sold-out event at the Writers Guild Theater in Beverly Hills, a reception that confirmed the overwhelming support for WriteGirl’s unique programming and individualized mentoring services. To date, WriteGirl anthologies have a total of 81 book awards. Workshops take place at inspiring locations throughout Los Angeles including MOCA, the Grammy Museum and the Los Angeles Times headquarters, just to name a few. WriteGirl’s leadership includes 20 volunteer staff members, a diverse advisory board of community leaders, educators and business executives, and a growing system of strong strategic partnerships. WriteGirl is a project of Community Partners, a nonprofit organization. On Friday, November 22, 2013, WriteGirl was at the White House to receive the National Arts and Humanities Youth Program Award, the highest national honor awarded to such programs. Executive Director Keren Taylor and mentee Jacqueline Uy, age 16, personally accepted the award from First Lady Michelle Obama. Keren Taylor's mentoring program, WriteGirl, has helped about 500 L.A. teens graduate high school and go on to college. We thought we'd let our teen girls tell you about WriteGirl in their own words!